Performance Appraisals — Headache, Business Advantage or Risk Mitigation Tool? Posted June 13, 2018 June 12, 2018 in News. Many things in life seem to cluster or come in waves. Over the last several months, we have seen the topic of performance appraisals come to the forefront for one reason or another. 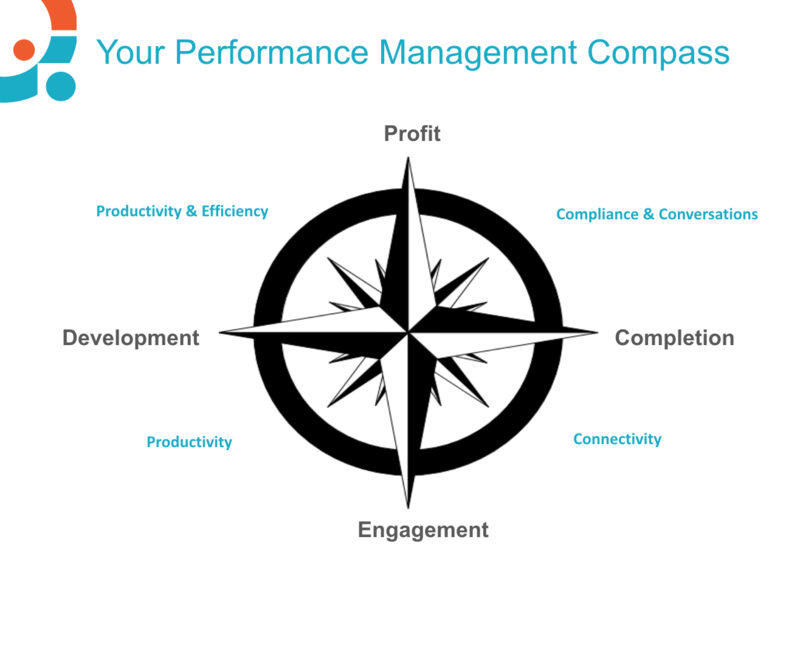 Whether it was setting performance objectives for the year, managers reflecting on what they wanted their teams to achieve or, in contrast, many organizations wrestling with the daunting task of addressing poor performance or bad behavior with a hefty legal price tag attached! The performance appraisal often carries a stigma, perceived as administratively burdensome, and may appear to have little relevance to the business, operation, or the pressing issues that are getting our attention as leaders. According to recent research from Gallup, over 90% of staff say that performance reviews are unnecessary and 37% of Managers would like to get rid of them. There is also a difference in the value that generations place on performance reviews. Almost 60% of Baby Boomers want performance reviews compared to 38% of Millennials. This makes sense in many ways, as we know that Millennials prefer frequent, high-quality feedback. The long, formal discussion about historical performance is not very likely to be perceived as a good use of time or valuable. Despite the seeming inconvenience of performance appraisals, we do know that the workplace is changing and the pace of business is changing. The need to be agile, flexible and adaptable are here to stay. So, the challenge facing businesses is how do we set a clear direction, have meaningful discussions about performance and maximize the contribution, effectiveness, productivity and performance of our people to achieve the business results? Performance Appraisals – Headache, Business Advantage or Risk Mitigation Tool? 1. Simplify the form and process. The most effective performance appraisals, in our opinion, have three to five objectives or job-related areas of focus with an additional three to five competencies or values for the organization. In addition, there should be a summary of manager comments and employee comments that support the overall message in the appraisal. Finally, one overall rating or, at the most, a rating for each section. If you have more evaluation criteria than this, it is tough to deliver a clear message about performance and the discussion typically digresses into an unproductive debate about individual ratings. 2. Shift the emphasis from the annual appraisal to meaningful and relevant ad-hoc documented discussions. What was achieved vs. planned? Be sure that you document, consolidate it and keep it readily accessible so it can then be referenced in the annual performance appraisal. The only exception to a continuous feedback process is if the employee is underperforming. Leverage a written warning or performance improvement process that explicitly states, documents and outlines the consequences of a lack of improvement. DO NOT AVOID OR WAIT UNTIL THE END OF THE YEAR! 3. Address performance issues in a timely manner. There is a strong cultural myth that it is best to avoid performance discussions because we don’t want to look bad, put the manager or organization’s reputation at risk…and the list goes on. In contrast, we can guarantee that the avoidance of addressing performance issues will result in conflict, confrontation or a continuation of underperformance. In addition, poor performance and behavior are costing employers more and more. In wrongful termination, constructive dismissal and other employment-related cases, the first step is to review the performance documentation and congruence between the claim and the content. Be sure that if the assessment states “fantastic employee” or “superstar” that the employee deserves it. 4. Align reward appropriately with performance discussions AND documentation. I recently heard of a case where a manager was awarding poor performers on their team large bonuses. Why? Their rationale was that base compensation was so low for everyone that the employees needed larger bonuses to achieve market competitive compensation. Paying a premium for poor performance, in any circumstance, is ludicrous! It’s also important that reward frequency and amounts reflect individual performance, for two reasons. The first is that a reward is more meaningful when it’s immediate and appropriate for the performance at hand. Try modifying the annual performance bonus model with more project incentive and ad hoc rewards. You will get greater bang for your buck! Second, one of the other stones lawyers will turn when dealing with employment-related matters is compensation. If you have stated an employee is performing poorly but just rewarded them their biggest bonus ever, not only are you spending money that may be better utilized in other parts of the organization, but you are leaving yourself wide open for an uphill and costly legal battle! 5. HR shifts from policing the performance appraisal process and completion to reporting on integrated and meaningful data for the business. HR professionals are often charged with the administrative burden of chasing managers to complete the performance appraisal process and, when complete, the sentiment from managers is often “Phew, another year completed!” We submit that there is a better value in HR monitoring a handful of related metrics — profit, completion, engagement and development. Profit and Completion: When we compare the bottom line to completion metrics, we can ascertain whether or not clear expectations have been outlined by managers, and discussions held to realize MAXIMUM business results. This will also indicate whether the tool is just a “tick the box” exercise or a meaningful business management tool. Completion and Engagement: Connectivity and relationship building is important to have a healthy, productive work environment, and impacts the bottom line. Motivated and engaged employees perform better and achieve better results than those who are disengaged. Accountability is a big factor in employee engagement, as is development. When managers don’t hold people accountable for performance, 7 out of 10 become actively disengaged. By comparing completion and engagement, you will be in a better position to know whether or not the tool is being used to hold people accountable and whether or not the conversations are meaningful. Engagement and Development: When we compare engagement levels and development measures, such as the number of development actions completed as planned and promotions, we are more likely to know whether or not we are advancing the right people into management roles, how well employees are positioned to perform in their roles and how engaged individuals and teams are. This will improve retention, reduce attrition and increase productivity. Development and Profit: Finally, when we compare development and profit, we gain a better understanding of whether or not employees are being developed into the “right” roles to maximize their potential and the bottom line. It also gives us an indication as to whether or not our investment in development is paying dividends in business results. So, what’s it worth to you? There is no doubt that ensuring that the performance appraisal and management process is effective will increase productivity, employee engagement and business results. If not, the organization will pay the price, including loads of time spent in recruitment, loss of productivity through knowledge leaving the organization, not to mention tens and possibly hundreds of thousands of dollars in legal expenses that could have been avoided! So, take our advice — invest time and money in proactively preparing managers to set clear expectations and deliver frequent, high-quality feedback, leveraging the performance appraisal and managing performance proactively. Do you wish to make a deposit or pay the penalty fee?